Juraj Valčuha is music director of the Teatro di San Carlo in Naples and first guest conductor of the Konzerthausorchester Berlin. He was chief conductor of the Orchestra Sinfonica Nazionale della RAI from 2009 to 2016. He studied composition and conducting in Bratislava, St. Petersburg (with Ilya Musin), and Paris. He made his debut with the Orchestre national de France in 2005 and has since led London’s Philharmonia Orchestra, Rotterdam Philharmonic, Leipzig Gewandhaus Orchestra, Swedish Radio Symphony Orchestra, Dresden Staatskapelle, Munich Philharmonic, Berlin Philharmonic, Amsterdam’s Royal Concertgebouw Orchestra, Maggio Musicale Fiorentino, Orchestra dell’Accademia Nazionale di Santa Cecilia, and Milan’s Filarmonica della Scala. In North America Mr. Valčuha has led the New York Philharmonic, Los Angeles Philharmonic, and the Pittsburgh, Boston, Cincinnati, San Francisco, National, and Montreal symphony orchestras. On the opera stage, Mr. Valčuha has conducted Gounod’s Faust in Florence, Britten’s Peter Grimes in Bologna, and Richard Strauss’s Elektra, Bizet’s Carmen, and Puccini’s The Girl of the Golden West at Teatro di San Carlo. 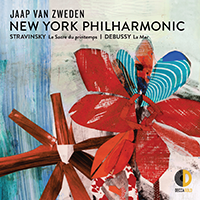 In the 2015–16 season he led the New York Philharmonic in New York and at Bravo! Vail, and returned to the Pittsburgh Symphony Orchestra, San Francisco Symphony, Minnesota Orchestra, and the Munich and Czech Philharmonic orchestras. In 2016–17 he made his debuts with the Chicago Symphony Orchestra and The Cleveland Orchestra, and returned to San Francisco, Montreal, Minnesota, and Orchestre de Paris. His engagements in 2017–18 took him back to the orchestras of San Francisco, Detroit, Cincinnati, Minnesota, and Toronto, as well as the Konzerthausorchester Berlin, Munich Philharmonic, London’s Philharmonia Orchestra, Swedish Radio Symphony Orchestra, NDR Elbphilharmonie Orchestra, Orchestra Sinfonica Nazionale della RAI, and Orchestra dell’Accademia Nazionale di Santa Cecilia. At the Teatro di San Carlo he conducted productions of Bartók’s Bluebeard’s Castle, Puccini’s Tosca, and Shostakovich’s Lady Macbeth of Mtsensk. Highlights of Juraj Valčuha’s 2018–19 season include a production of Wagner’s Die Walküre in Naples, Richard Strauss’s Salomé in Bologna, concerts with the BBC, Vienna, Montreal, San Francisco, Pittsburgh, and Dallas symphony orchestras, and a tour of the Baltic countries with the Konzerthausorchester Berlin.